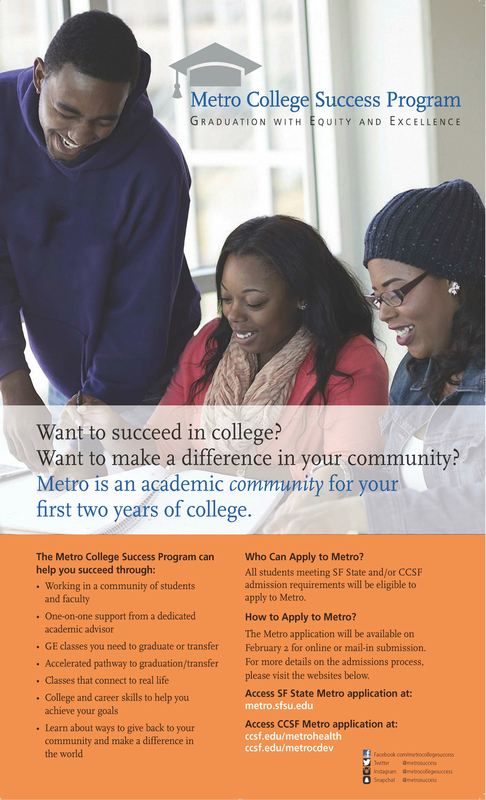 The Metro College Success Program was created to increase college graduation through a redesign of the first two years — and it’s working. Metro helps first-generation, low-income and historically underrepresented students succeed at San Francisco State University and City College of San Francisco. Each Metro Academy is a learning community with personalized in-class academic support, advising and tutoring. To help explain the program to policy makers, academic peers, funders, and students, YMM worked with Metro to create an identity system, collateral materials and an animated video.